Round 3... FIGHT! 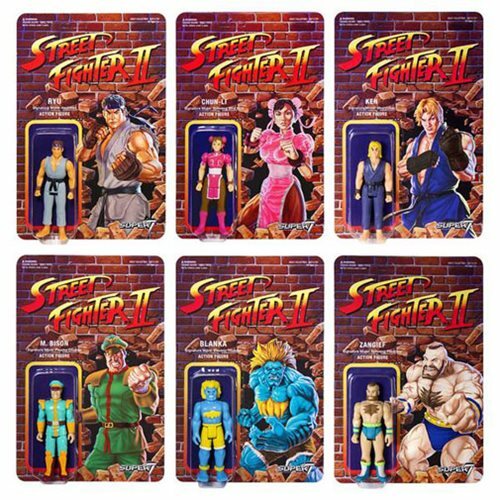 The characters you love from Street Fighter II are back as era-appropriate plastic 3 3/4-inch Street Fighter II Championship Edition Retro Action Figures. Each is individually packaged on a retro 6-inch x 9-inch card, just like you remember from the good old days. Relive your days as a quarter-based warrior with this array of action figures, each of which comes with 5 points of articulation and deco based on the classic Capcom competition. Ages 15 and up.